Back injuries related to job duties or accidents on the job are not uncommon. 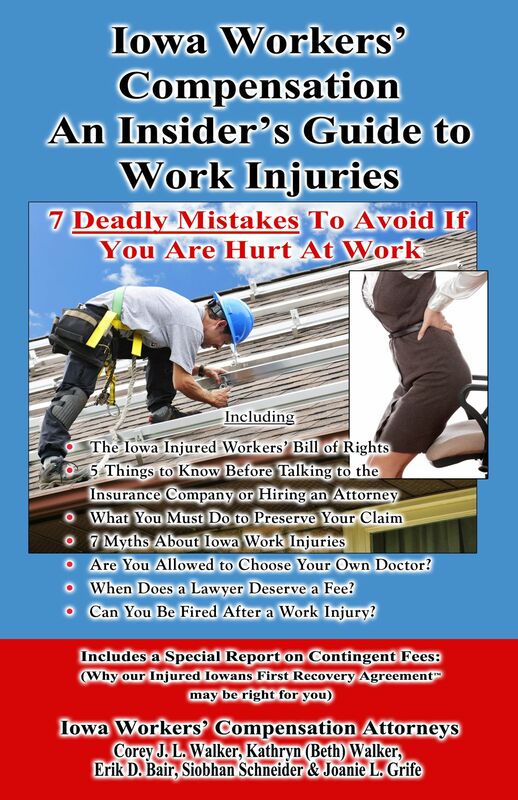 According to the Bureau of Labor Statistics, 182,270 workers suffered some type of occupational back injury in 2011. Many of the injuries are so severe that they necessitate back surgery procedures, leaving the worker incapacitated and unable to return to work or other normal daily activities for a long period of time. The workplace can be a breeding ground for injury. Slips and falls, falling equipment, heavy lifting, and repetitive movements can all cause back issues. The surgeries workers undergo depend upon the nature of their back issues. disc replacement (replacing damaged disc with artificial one). Surgery always comes with risks. Although sometimes it’s necessary, patients should discuss the risks with their doctors before jumping into surgery. However, sometimes surgery is the only option, such as with fracture injuries or spinal cord injuries. If you’ve suffered a serious back injury in a work accident, discuss all your treatment options with your physician, and consider getting a second opinion before undergoing surgery. As if the pain and physical stress of a serious back injury weren’t enough, you’ll also have to contend with the exorbitant cost of back surgery. Fortunately, workers’ compensation should cover your medical bills. If you’re unsure of what is covered or if you are concerned for any reason that your benefits aren’t being handled fairly, contact an attorney straight away. The cost of back surgery depends upon the type of surgery and the length of the recovery. For instance, according to Healthcare Blue Book, a laminectomy may cost $12,000, whereas a spinal fusion in the lower back could cost over $45,000. It’s important to make sure all of your back surgery treatments are covered by your workers’ comp or you’ll be facing a huge mountain of bills. Even if you’re just undergoing pain management treatments, those treatments can venture into the hundreds and even thousands. If your injury is work-related, you should not have to foot the bill for any of it. It’s human nature to try to “wait it out” and see nagging back pain will just go away on its own. This is highly unadvisable. Not only could there be serious underlying back issues that are putting your health at stake, but stalling could hurt your claim and benefits, as well. The best way to handle the situation is to seek medical advice upon injury, learn about your options, and then make a wise, informed decision about your treatment. If you are facing a back surgery from a work injury, call Walker, Billingsley & Bair in Des Moines for a FREE legal consultation. We can discuss your case with you and make sure you are receiving all the benefits to which you’re entitled. Contact us today at (888) 435-9886.